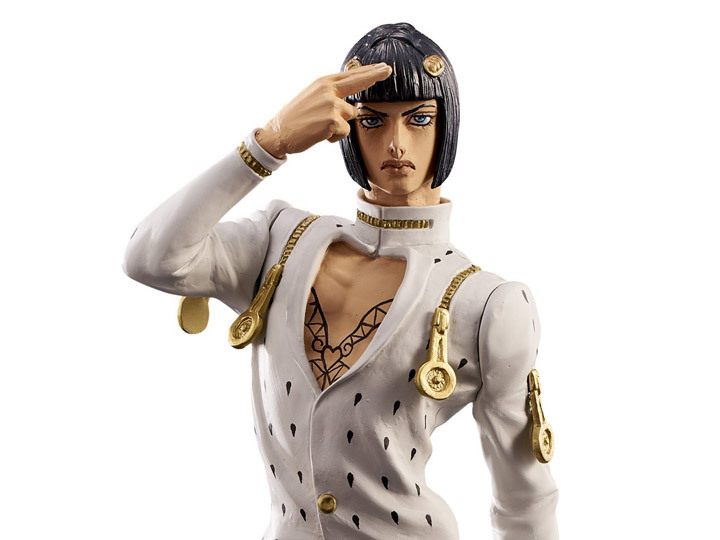 Bruno Bucciarati is the deuteragonist of Jojo's Bizarre Adventure: Golden Wind. 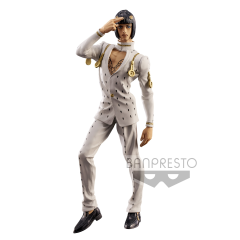 He is a mobster and the leader of his own squad within the powerful neapolitan gang Passione. Sent out to track whoever attacked Leaky-Eye Luca and debuting a Giorno Giovanna's opponent. Now you can add him to your collection with this figure that stands about 8.3" tall.